Jaye Foster has out a new space-based setting for Malandros that's got billions of possibilities - literally. And I got to ask questions about it! 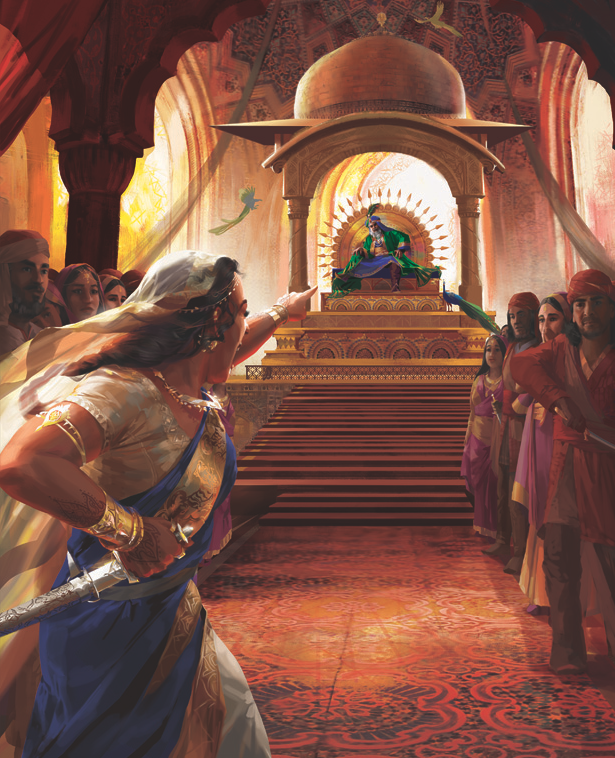 Learn about Poor Amongst the Stars, currently available on DriveThruRPG, in the interview below! Tell me a little about Poor Amongst the Stars. What excites you about it? The possibilities. There are twentyish questions asked during creation of the generational ship and at least three suggested answers for each question. Not taking into account player creativity, that's 3486784401 possible ships, each subtly but importantly different. So while the book does encourage you to select from a limited list of answers the players are not actually that restricted in the scenario creation. I'm pleased that I was able to find so many options for ways to describe how the characters are trapped aboard ship and what that cage feels like. How did you figure out the questions? I originally started with a more technical approach, describing the ship in mechanical/physical way; how long is it in meters, how big are the cabins, what scientific instruments does it carry. I quickly realised that this approach was not compatible with Malandros. What matters more is how the ship feels and how it influences play. So I started from the point of view of an unimportant person on this ship and built the questions to give context to their life rather than just measurements. For example, I don't ask you how big the ship is, I ask you how does its size feel to the characters; is it cramped, cozy, spacious or nearly empty? 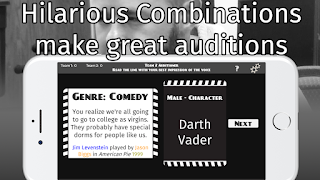 What about the questions makes the creations interesting? How do they spur creativity? The questions and prompted answers themselves don't make the creations interesting. That comes from players and their creativity is spurred from a lack explanation. The prompted answers never tell you why the ship is as chosen. In selecting an option, the players are partially forced to consider why they are picking that option and to consider what history the ship has that resulted in this current condition. For example, if the players decide that the ship's crew are segregated from the passengers a lot of the story detail will come from expanding the reasons why. In my test game, the players decided that the crew slept in a virtual reality to keep them in a pseudo-stasis to preserve their precious skills and knowledge. Where did you get your inspirations for the Poor Amongst the Stars? I was thinking about writing a setting for Malandros and had the thought that a science fiction would be an interesting diversion from the original Imperial Brazil setting. Another author had already tackled a colony style setting so when the idea of a generational ship fell out of my brain it interested me. Fiction that influenced me during writing included: Macross Frontier, Cities in Flight, WALL-E, Dark Star and Red Dwarf. What are a few examples of scenarios for the setting? I wouldn't say the book has any pre-generated scenarios. With Malandros, the scenarios are created by the characters relationships with themselves and the constraints the ship puts on a person's ability to improve their standard of living. The book does have a short section on episode themes for the game master to apply if they feel the need to inject an external stimulus. Thanks, Jaye, for a fun interview! 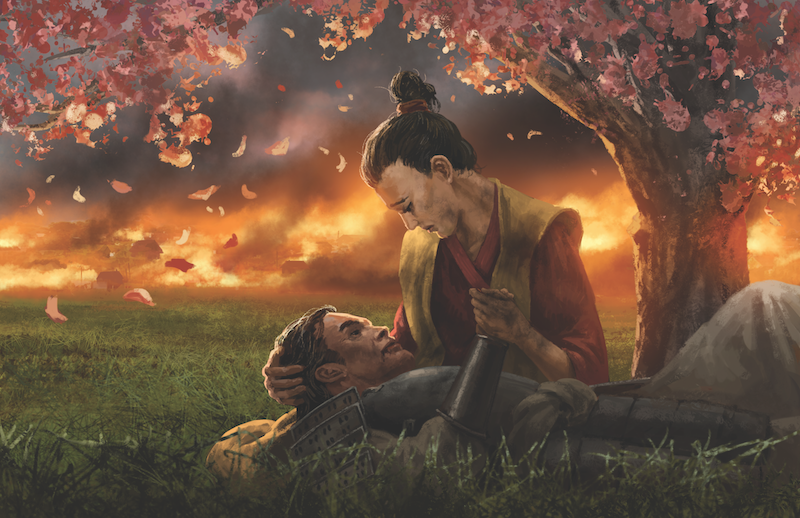 I hope you all enjoyed reading what Jaye had to say and that you'll check out Poor Amongst the Stars on DriveThruRPG! All images CC-BY-ND-2.0 sourced by Jaye Foster. I did an interview with Doug Levandowski on the RPG Kids on Bikes, which is currently on Kickstarter. Doug's using Script Change in the text and while we chatted, shared his Kickstarter link so he could tell me more about this rules-light kiddo-adventure! Tell me a little about Kids on Bikes. What excites you about it? Doug: Kids on Bikes is a narrative-driven story telling game set in your favorite 80's movie or TV show. We like to say that it takes place in a town small enough that everyone knows each other (for better and for worse) and in a time before cell phones could take videos of monster. The GM acts more like a facilitator, and the players are really the ones telling the story. One of the things that excites me about Kids on Bikes is the way that the game starts! The town and character creation, especially the rumors and the questions about the relationships between the characters, helps to start the game even as you're creating the world you'll be playing in. Stories often start to emerge and tensions start to become clear there in pretty cool, open-ended ways! What was the motivation for putting together Kids on Bikes? What about the concept put your hearts into it? D: Stranger Things! Two summers ago, like most of America, I'd just binge-watched the first season, and I posted on Facebook, "Okay - who wants to make this a game?" Jon responded, and we got rolling on it. But even more than that, I grew up as an AD&D player. I had a paladin, a wild mage, and a few classes I created myself, and seeing D&D played on the show really made me want to replicate that in some streamlined way - but also to pay homage to the wonderful 80s tropes that I grew up on. How do you approach violence and violent content in Kids on Bikes? D: Personally, I play games for escapism, so violence for me in games has to be one of two things: either absurd, cartoonish, and completely divorced from reality like it is in D&D - or nonexistent. 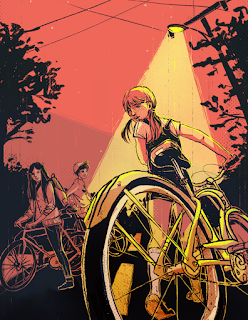 Kids on Bikes is super close to reality, which is something that I love about it, but that also means that the violence in it is supposed to be terrifying. In the rulebook, when we talk about combat, one of our statements is that there's no such thing as "safe" violence in Kids on Bikes. And our first step in creating the world of the game is having all of the players establish what they want to see and what they don't want to see. Ultimately, Kids on Bikes is a framework for players to create what they want within it, but it's definitely a framework that discourages casual violence. Tell me about the design process. How did you start mechanically? What has changed since the game's inception? D: We started with thinking about making a game that felt like AD&D but streamlined. I had a bunch of ideas that complicated things, and Jon was really great at saying things like, "Yeah, THAC0 was a thing...but maybe that's not in anything anymore for a good reason." As we went, we kept streamlining and streamlining to keep the focus on the story. That's something that Jon is really, really good at...and that I'm learning from him! Another thing that was probably the main aspect of the design at the start was the notion of duality. We love the idea of inversions and balancing acts that happens in so many of these things from the 80s, the way that the villain is some corrupted version of the good guy or the way that every negative is a positive and, usually, vice versa. In our initial creation, we kept asking ourselves, "Great... What balances that? What's its counterpoint?" What is your focus audience for Kids on Bikes, and why? Is it a nostalgia product, considering the timeline restriction, or something different? 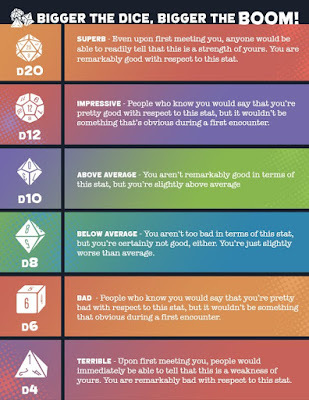 D: Our audience is new and experienced RPG players. 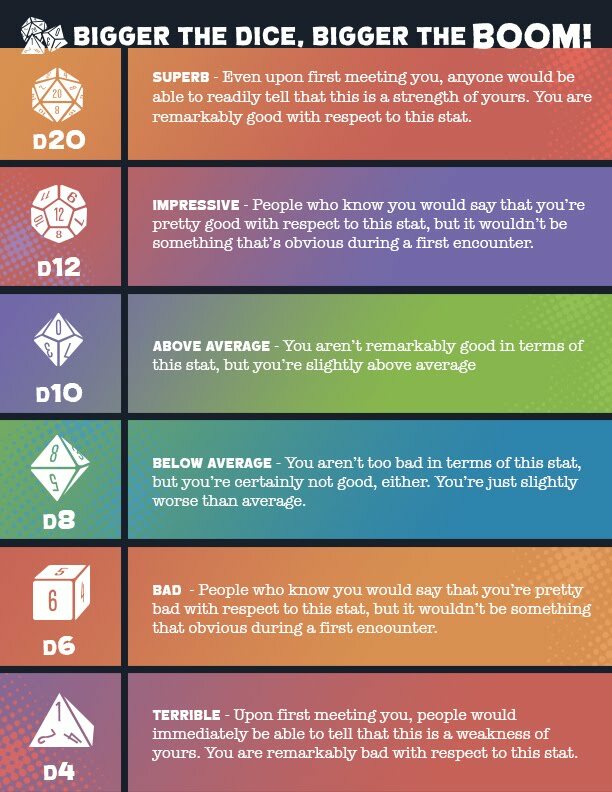 It's an easy enough to pick up game that even folks who've never rolled a d12 before can jump in and get rolling, but we think the opportunity for narrative is rich enough that it can appeal to people who love narrative games and have played a bunch of them. I don't think of it as, first and foremost, a nostalgia product; I think of the time restriction as a way to complicate what, in the modern day, would be easy solutions and drive the narrative. Like, if a current high school stumbles upon a cult, they shoot some quick cell phone video, they post it to Snapchat, and it's a scandal. 30 years ago, though, they have to convince people that it's really a thing. That's the kind of space I'd want to tell stories in right now, so that's the kind of engine we made. That said, there's for sure a nostalgia element to pretty much everything I design, so I think that influences the kinds of stories I want to tell. Thanks so much to Doug for the interview. 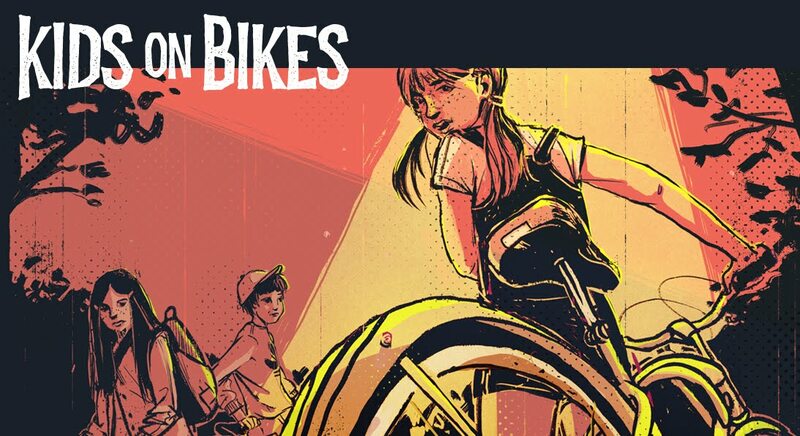 I hope you all enjoyed reading it and that you'll pedal your way over to Kickstarter with a few friends to catch the last few days of Kids on Bikes! Hi all! 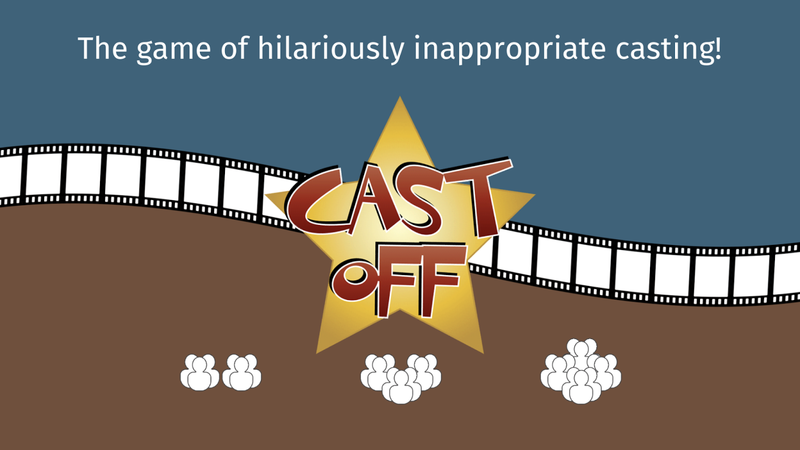 I spoke to Steve Radabaugh about his latest mobile game, Cast Off, a movie trivia game! It sounds like a fun time so I'm sharing what he has to say about Cast Off with you! Tell me a little about Cast Off. What excites you about it? 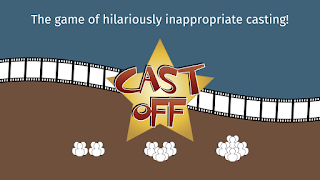 So Cast Off was originally designed by Jonathan Lavallee as a card game. I've turned it into an app. 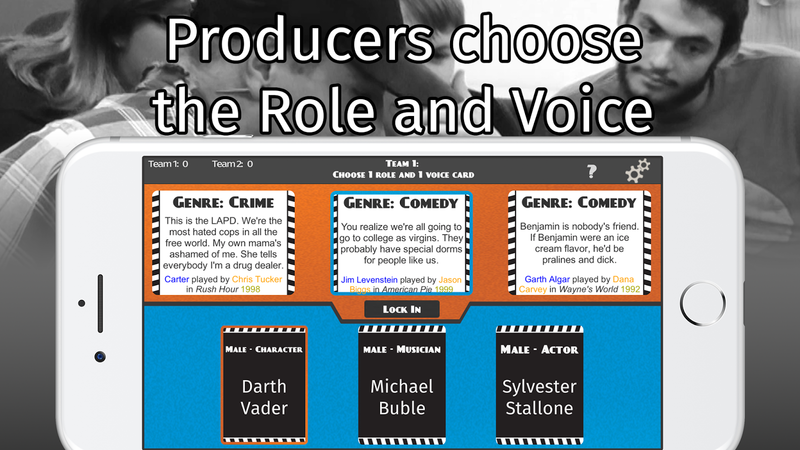 It's a game where one team will select a famous voice and a role from a selection of 3 each. Someone on the other team will audition for the role by reading a line while impersonating the given voice. The rest of the team has to try to guess the voice and various facts about the movie the line came from. I'm excited because I think the game really works better as an app than it did as a card game. It's more convenient to pass around a phone than a deck of cards, and you always have it with you. I really think this will open it up to a new audience. How did you go about getting authorization to make an app based on someone else's game? What kind of process is that? In this case, it's probably a bit different than normal. I put a message out to IGDN members noting that I was looking for things to collaborate on, or just straight contract work. Jonathan approached me about this project last spring. He's been great to work with, I've given him test builds along the way, and he gives me feedback. He also helps me make sure that the audio and visual elements that weren't in the original game are on brand. Images from the Radical Bomb website. What is the interface of Cast Off like, from the player perspective? I really tried to stick to the idea that it's a card game. The players will see the 6 initial cards, and they choose two. 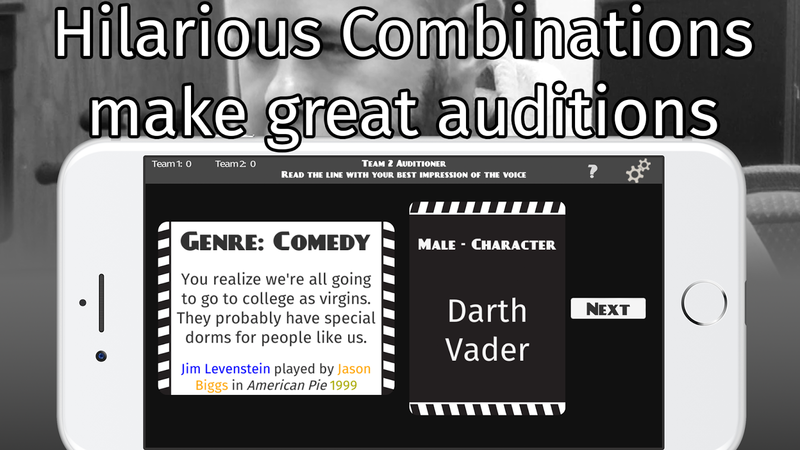 It then displays just those two cards much larger for the person who is doing the audition to read. I added tutorial elements that can be turned on or off into the game to really guide the players. After doing testing, I found that most people tried just playing without looking at the tutorial. What are the major mechanical functions of Cast Off, and how did you make them work? The biggest part is just drawing and displaying cards. When you start playing it builds an array of the cards that you have access to. (There are 5 sets total to choose from, and you can choose as many as you like. One comes with the game, the other four are in app purchases.) It pulls three random cards out of the array displays them, and them puts them into a second discard array. What's interesting to me as a programmer is that I don't actually every "shuffle" the deck of cards. Its more like grabbing a random card out of the middle instead of just grabbing the top card. How can people access Cast Off and how do they play once they have? Cast Off will be available as of October 26th, 2017 on both iOS and Android. The best way to play is with a group of at least four people, it can easily play a group of twenty or more. Everyone shares one device, so there's not a huge requirement of everyone having the device. The players divide into two to four teams, there does need to be at least 2 people on a team. Team one will start with selecting the cards for the role and the voice, then pass the device to one person on team two. That person will attempt to impersonate the voice while reading the line. The rest of their team will have 30 seconds to try and guess the voice and facts about the movie the role came from. The person who did the audition marks which things were correct. Then it'll be team two's turn to draw cards. Thanks to Steve for the interview! Make sure to check out Cast Off on Radical Bomb's website and share with your friends!